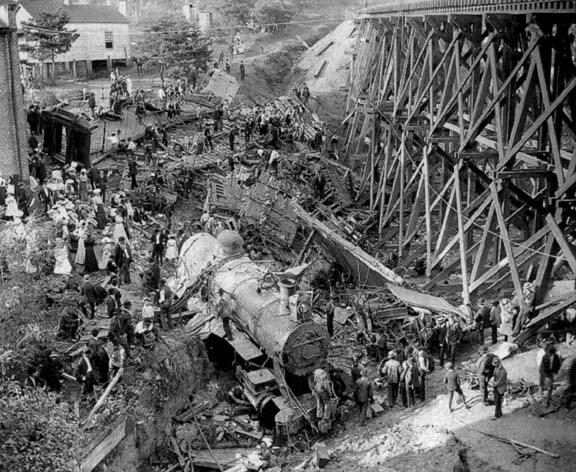 The Old 97, a Southern Railway train enroute to Spencer, N.C., derailed at Stillhouse Trestle near Danville, Virginia, on September 27, 1903, killing 11. This photograph was taken from the original glass negative and was copyrighted by the Williams Studio of Danville in 1960. 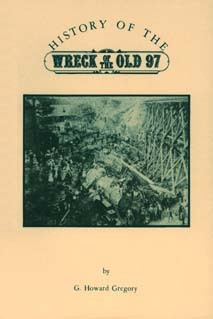 The event served as an inspiration for songwriters and balladeers, and the result is the now-famous "Wreck of the Old 97". In 1965, in my senior year at the University of Virginia, I wrote a paper on the song for a course I took on folksong and the ballad from Professor A. K. Davis, Jr., a recognized authority on the subject. In his youth, he had scoured the mountains of Virginia with a wire-recorder and collected many folksongs. I still have wonderful memories of taking his course. The Origins of a Modern Traditional Ballad, "Wreck of the Old 97"
Here is the original paper, warts and all, for anyone who would like to read it. Absolutely fabulous! I thoroughly enjoyed reading your paper and comments, Wreck of the Old 97. Every now and then something strikes me personally and this does. The ballad was a favorite of mine when I was a small child. My mother was born in Harrisonburg ('20). I was born there, too ('43). I remember her playing it for me on the Victrola when we moved to Cleveland... something of a special draw/connection back to Appalachia and the Old Dominion, roots we missed. Later we settled into Richmond where I grew up. 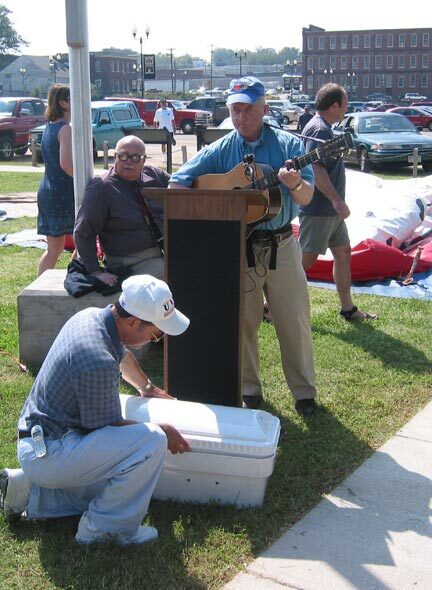 In college I suppose it was a Johnny Cash or perhaps a Kingston Trio rendition on the album I listened to. But I never found anyone who expressed the same favor for the song that I had. I graduated from VMI in 1965 - had to take physical chemistry classes at UVA that (I Can't Get No Satisfaction, Stones) summer to get the final credits. After Vietnam, while at W & L's Law School, probably 1970, I took a scenic summer drive through the mountains in an open MG, just by myself, sort of exploring the Blue Ridge and Valley one beautiful day. I came around a curve in the country and rode out onto an old railroad crossing. Lo and behold, it was Monro, Virginia station. I had to stop because it was like something appearing in its original form jumping from a history book. It was one of those great moments when you wonder if anyone else in the world sees and appreciates what you are are looking at. I have not forgotten it. is now out of print and no longer available. 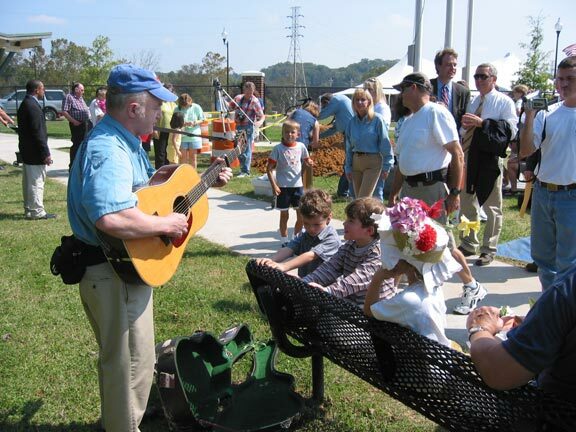 For another opinion on the authorship of the song, please visit www.ezfolk.com for a biography of Fred Lewey and this account of his role in the creation of the song. I just happened to come across your article about the Wreck of the Old 97, and would like to add some additional facts concerning its composer. I am Shirley Lewey Gibbs, daughter of Fred Jackson Lewey. You included a picture and reference to an article I wrote for a NC website some years ago. I would like to advise you that Shapiro and Bernstein & Co., Inc Music Publishers, who currently hold the copyright on this song, indicate the authors to be Henry Witter (since he apparently wrote the Ship That Never Returned (maybe), but did sing the Old 97, Charles Noell and Fred Lewey as the recognized composers. My father wrote the original version of the song. Charles Noell was a friend of his, who worked with him in Lynchberg, Va., and wrote some additional verses. They performed the song together, and exchanged ideas on changes. There was no mystery; my mother had the original version for many years until she sold it. The facts were also published by the Charlotte Observer during Robert Gordon's research (which is documented in the Library of Congress in great detail, including recordings of the version my father sang in New Jersey, before the Supreme Court). Just thought I would throw in my two cents. Mr. Gregory and I discussed this by phone several times, and he sent his book to me. It is a very good document, but does lean toward Mr. George, the 'Faker". I think opinions lean toward which state one hails from; NC or Va. I was born in NC some 70 years ago, (my Dad also was born in Rockingham Co., NC), but was adopted out after his death in 1935 and was raised in Va. Actually, I never heard of Mr George until back in the 80s, when I retired, and set out to track this mystery down. We now have the full genealogy for the Lewey Family, and have found many descendants and ancestors of the family in the genealogy sites. Enjoyed reading your work while you attended U.Va. As a man who owned and operated the Old 97 restaurant in Danville, had it not been for the song, no one would have remembered the wreck. Regards from another Wahoo (Nursing Class of 1954). 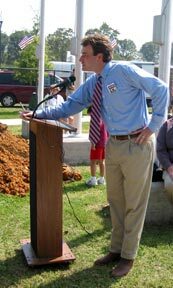 The Centennial Commemoration of the Wreck of the Old 97 was held on September 27, 2003 at the Crossing at the Dan, Danville, Virginia. 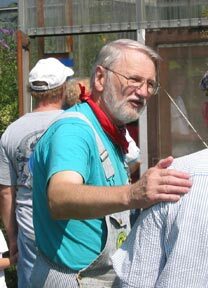 The event was organized by Lawrence McFall of the Danville Historical Society, which is planning a museum at the site of the famous wreck. 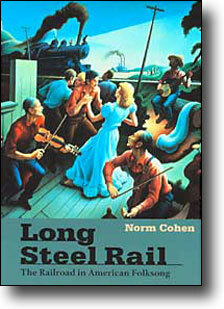 For additional reading, may we recommend Long Steel Rail by Norm Cohen, available from University of Illinois press. Impeccable scholarship and lavish illustration distinguish this landmark study of American railroad folksong. Norm Cohen provides a sweeping discussion of the human aspects of railroad history, railroad folklore, and the evolution of the American folksong. 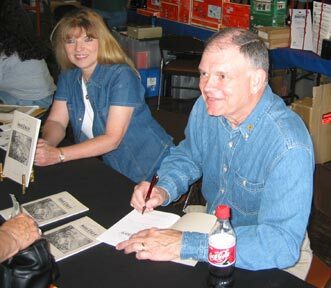 The heart of the book is a detailed analysis of eighty-five songs, from "John Henry" and "The Wabash Cannonball" to "Hell-Bound Train" and "Casey Jones," with their music, sources, history, variations, and discographies. A substantial new introduction updates this edition. 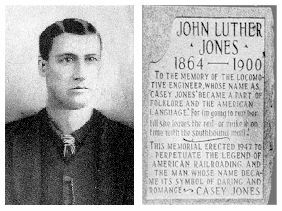 A couple of things -- and since you apparently posted your article on the song in 2002, you may have heard both of them -- first, where did you get the claim that Casey Jones was colored? 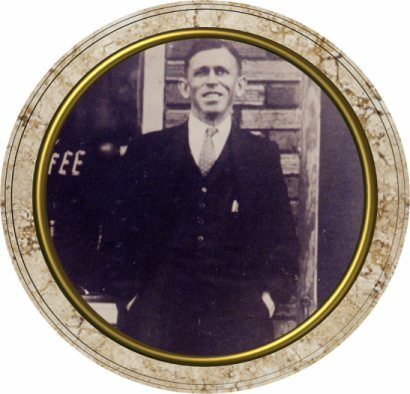 (See attached pic) John Luther Jones was Irish-American. 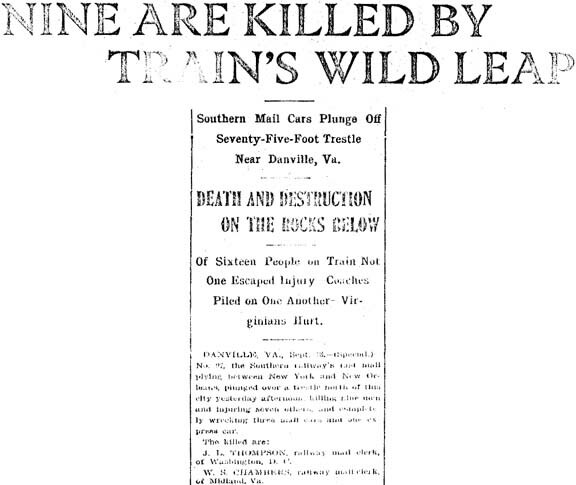 Whether correct or not, "scalded to death by the steam", meanwhile, would indicate an author actually somewhat familiar with railroading of the day; it's a reasonable thing to write if you weren't actually there; I would guess that at least as many head-end crew were killed by the live steam as by any other cause in the steam era.